The sculptures and bas-reliefs of the monument, arranged in thirteen groups, depict Latvian culture and history. The core of the monument is composed of tetragonal shapes on top of each other, decreasing in size towards the top, completed by a 19-metre (62 ft) high travertine column bearing the copper figure of Liberty lifting three gilded stars. The Freedom Monument (Brīvības piemineklis) is a memorial located in Riga, Latvia honoring soldiers killed during the Latvian War of Independence (1918-1920). It is considered an important symbol of the freedom, independence, and sovereignty of Latvia. 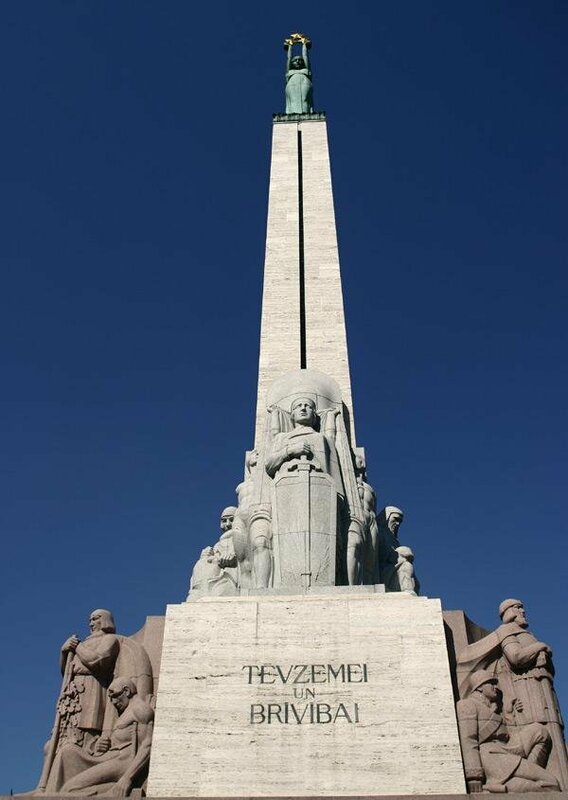 Unveiled in 1935, the 42-metre (138 ft) high monument of granite, travertine, and copper often serves as the focal point of public gatherings and official ceremonies in Riga. I have been so beedliwred in the past but now it all makes sense!